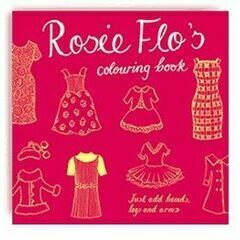 The Rosie Flo colouring books evolved from hours of Roz Streeten drawing with her young daughters. 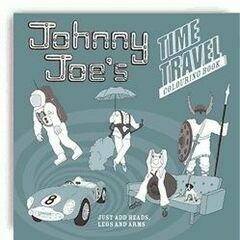 She was told what to draw and each time she promptly obeyed. 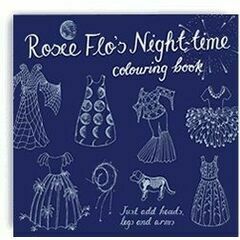 She found herself drawing a lot of dresses and her daughters would love to draw the arms, legs and faces and colour in the dress. They drew all sorts of people: rich, poor, fat, thin, tall, short, old and young! 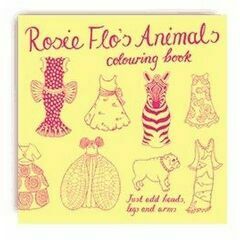 The first book ended up as a collection of dresses, some eccentric, some with a vague narrative but all of them lacked the head and limbs required to give them the character of Rosie Flo (a name she made up from her daughters’ middle names). She was fascinated with how they both maintained such prolonged interest with this way of drawing and felt there must be other like minded girls around. 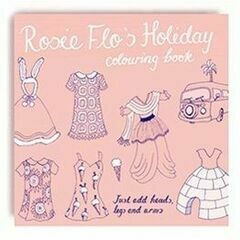 The colouring books are incredibly popular with the current trend in colouring-in for adults too, a therapeutic and great stress reliever for children and adults alike!